Parking: Free parking lot near the coordinates above. 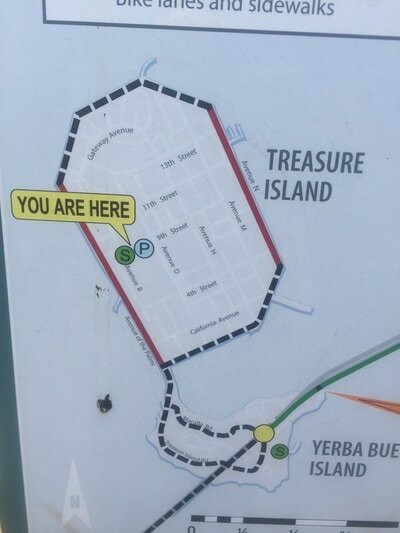 Best time to visit: Anytime unless it's a very hot day. 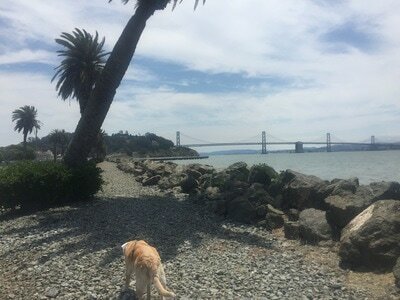 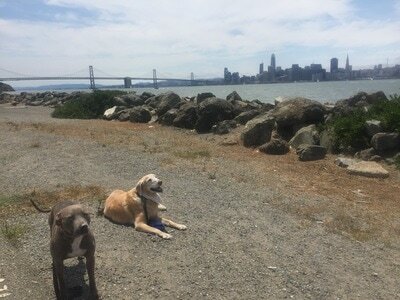 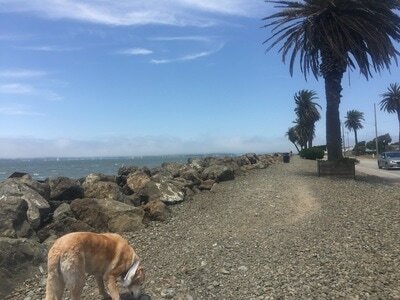 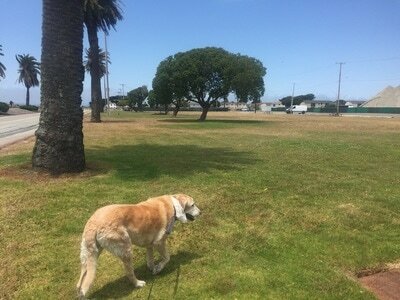 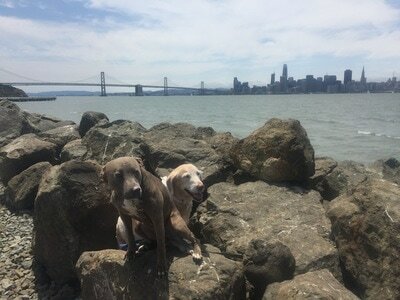 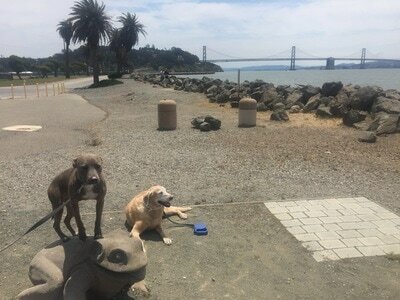 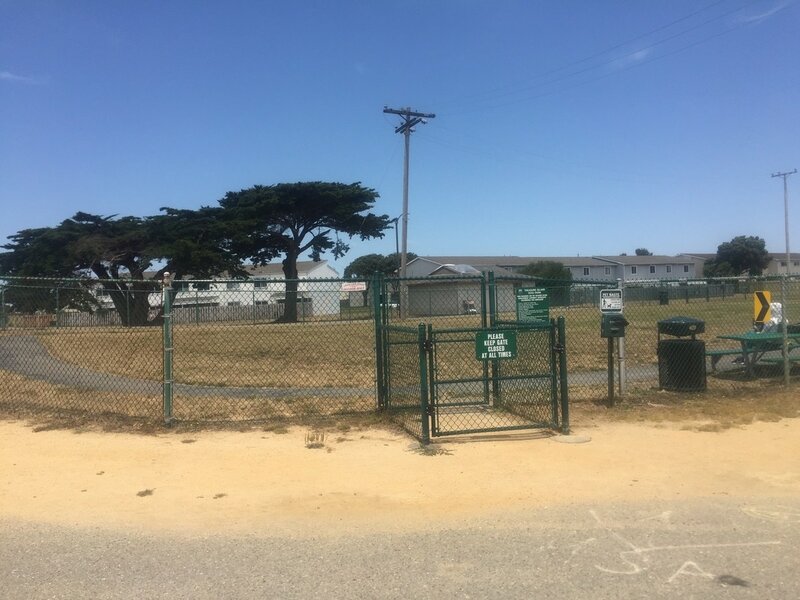 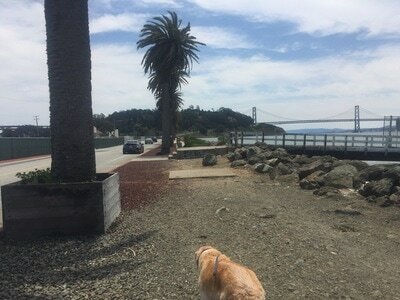 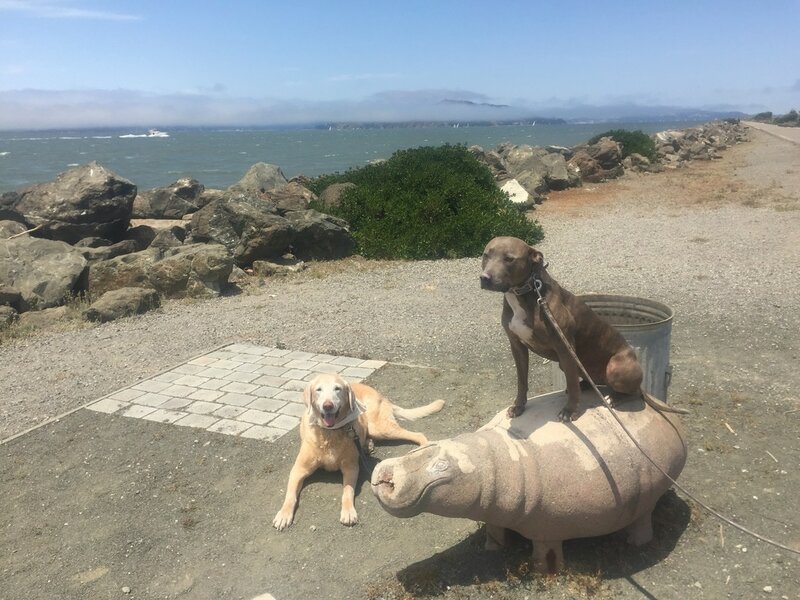 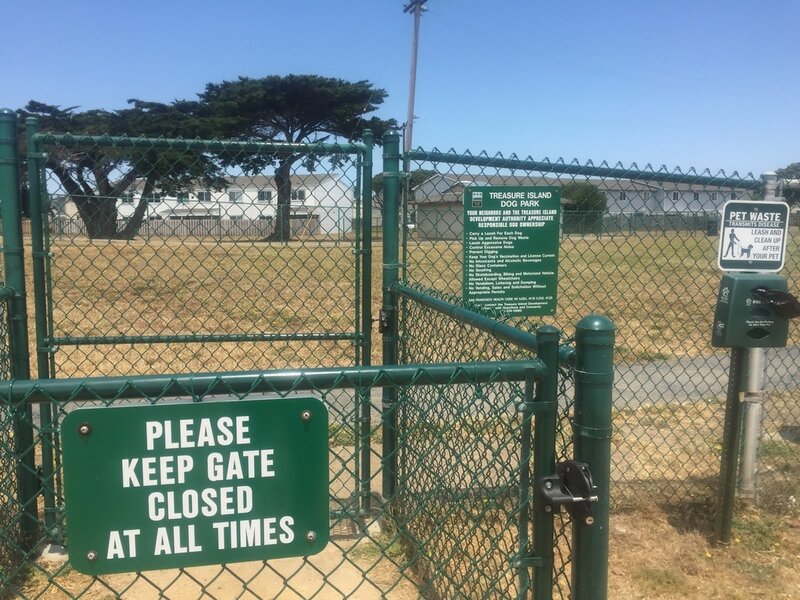 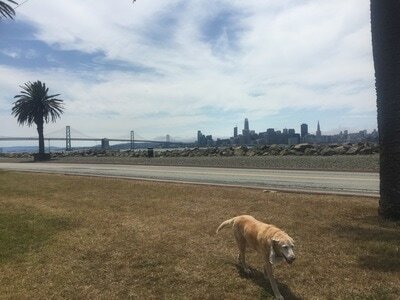 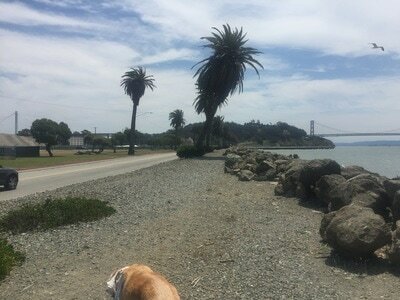 Description: This large park offers a huge lawn, a large dog park, and a trail across the street along the water. 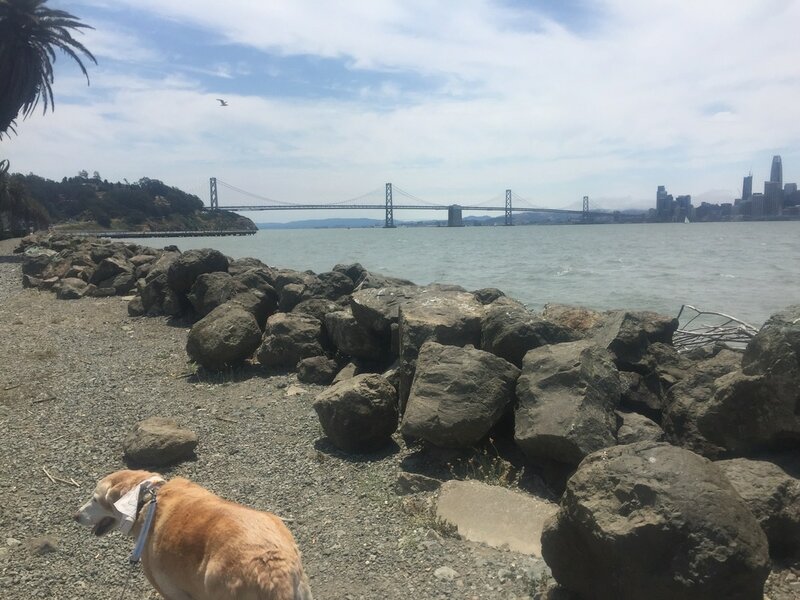 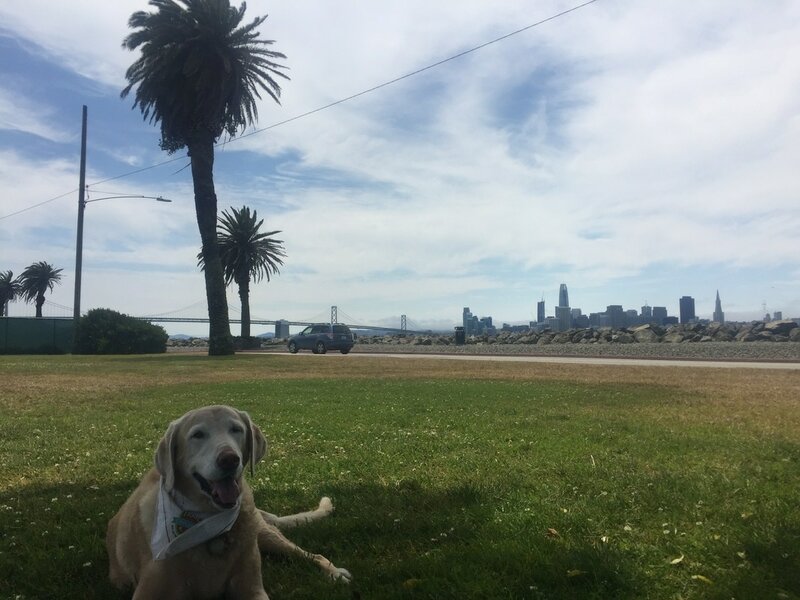 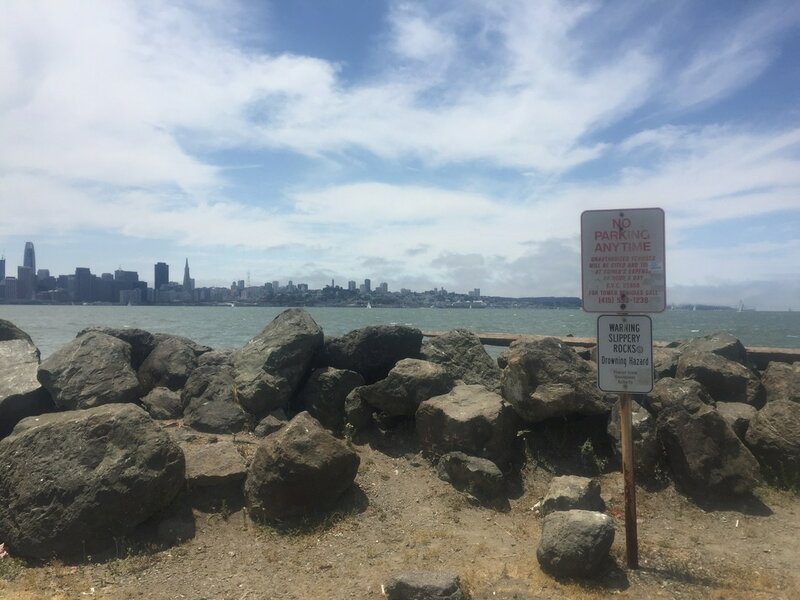 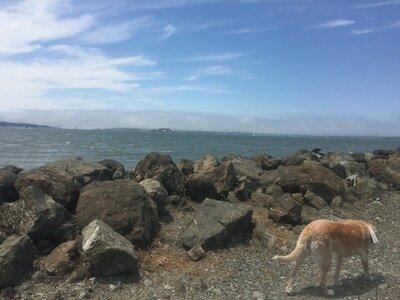 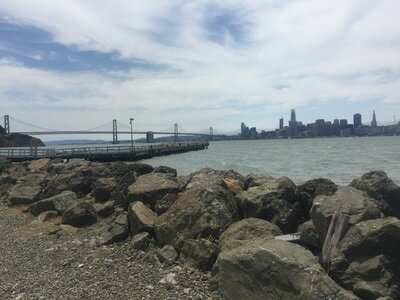 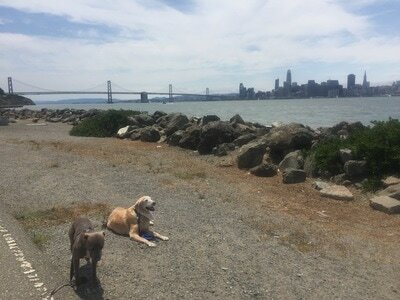 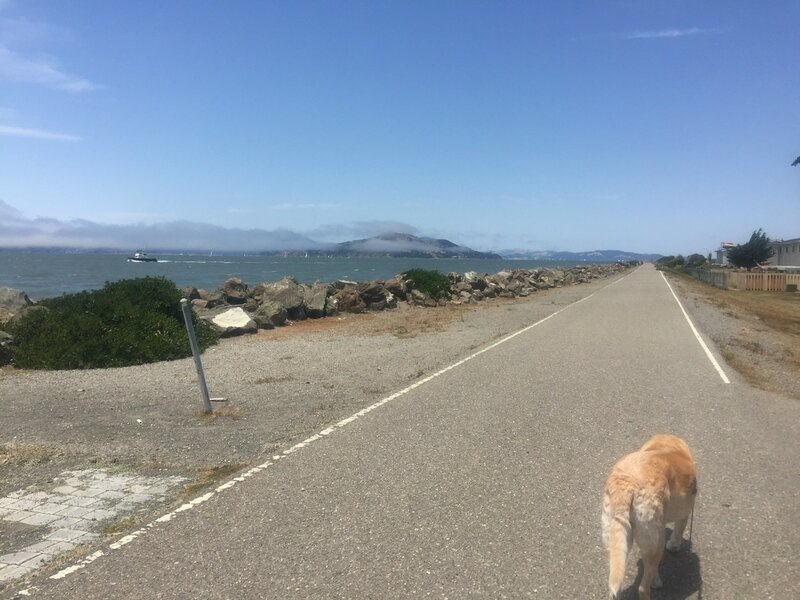 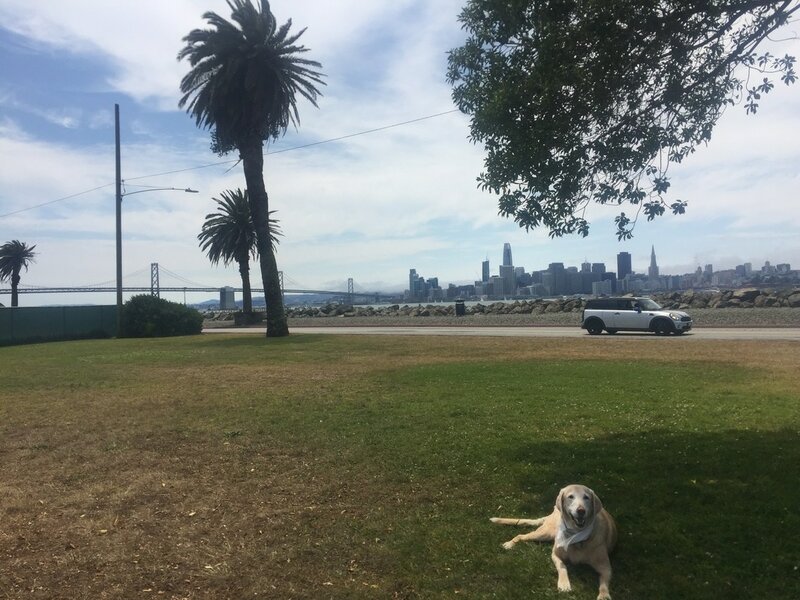 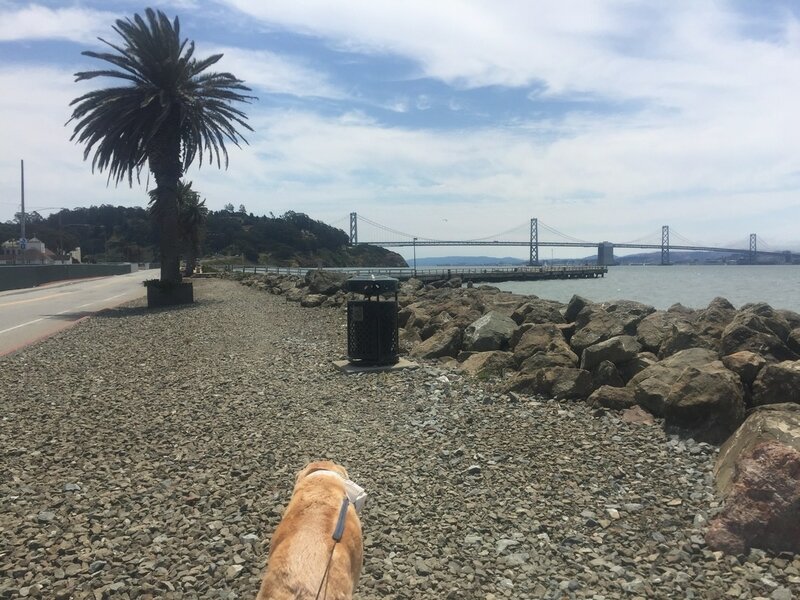 If you cross the street from the parking lot, you can walk along the Bay Trail, which hugs the shore and has incredible views of the Bay Bridge and SF. 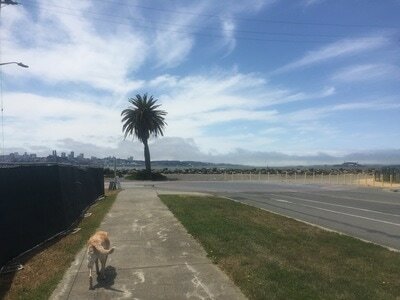 If it's not a foggy day, you can even see the Golden Gate Bridge. 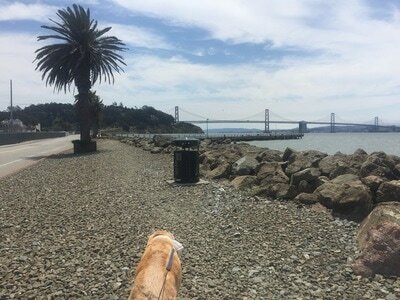 The trail along the water has pebbles up until the dock, and then it's a sandy trail the rest of the way. 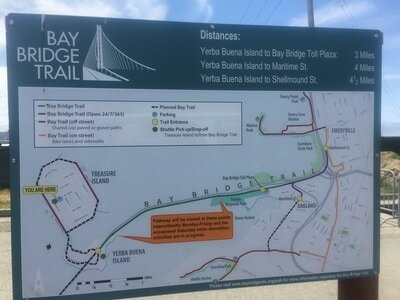 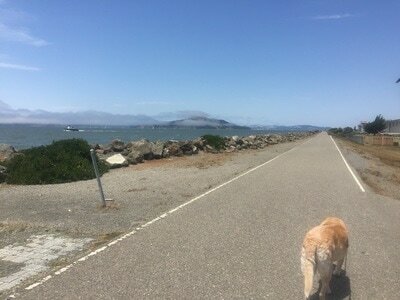 You can take this trail all the way to the Bay Bridge Trail, and eventually to the Toll Plaza in Oakland. 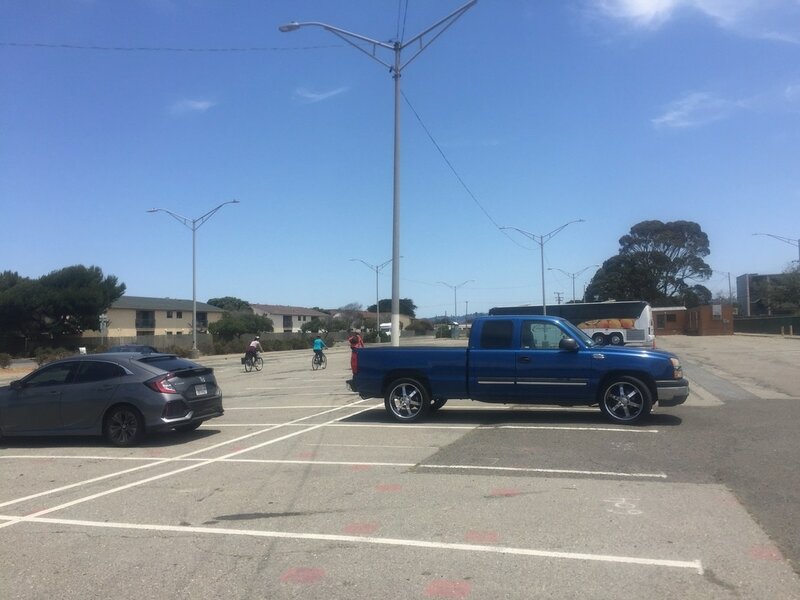 This is also a great place to park to reach Clipper Cove Beach. This park has trash cans and doggy cleanup bags near the dog park. 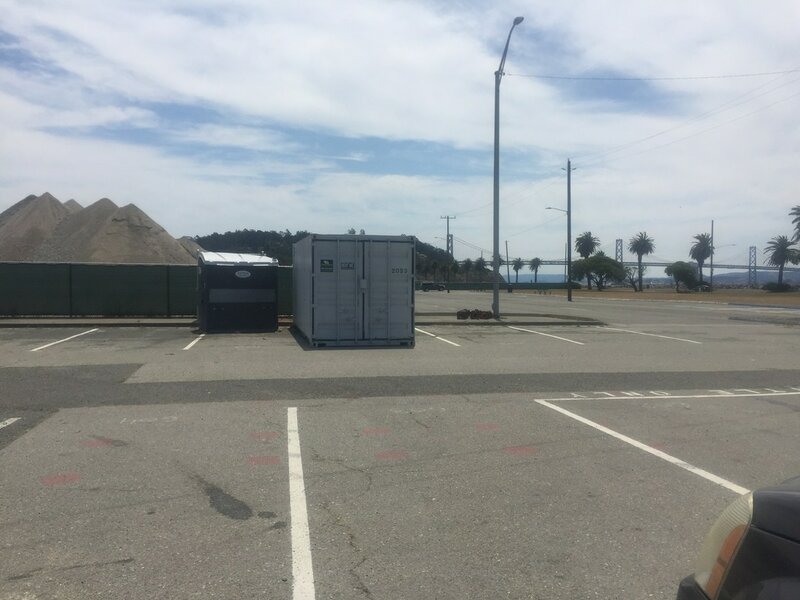 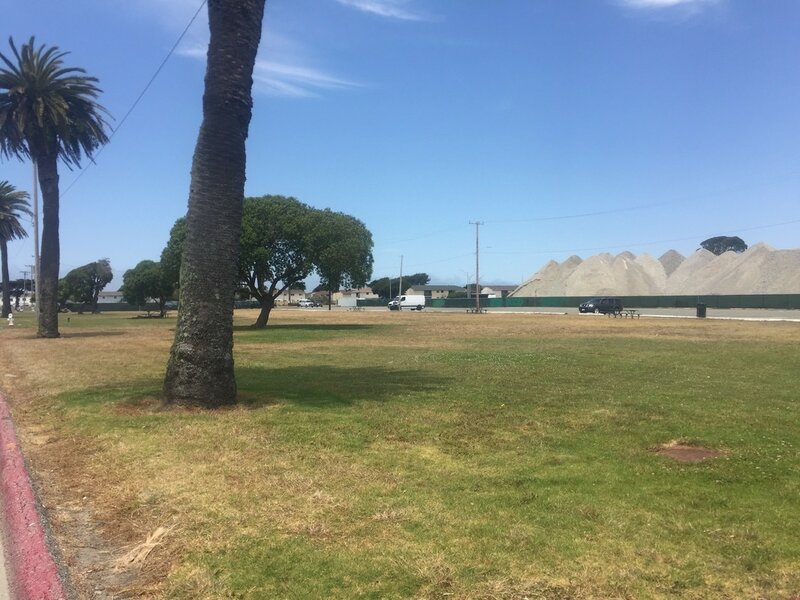 No water is available until you reach the parking lot near Clipper Cove Beach, so bring plenty.